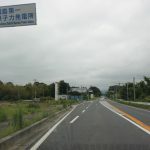 HomeThings to do in JapanHow to get a sumo tickets? Any available tickets in last minutes? 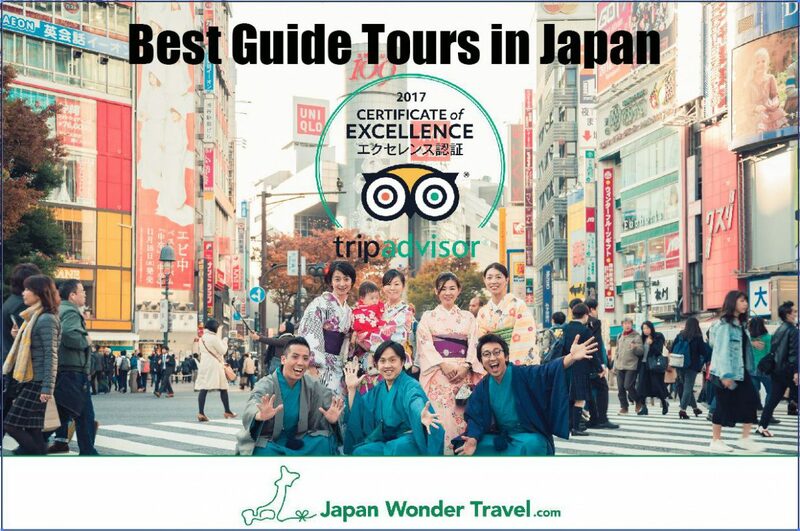 Hi, we are Japan Wonder Travel (JWT) who is a travel agency mainly offers unique tours for foreign independent travelers. We won a Trip Advisor Excellent prize in 2016. We would love to contribute to all travelers to Japan with our useful information. 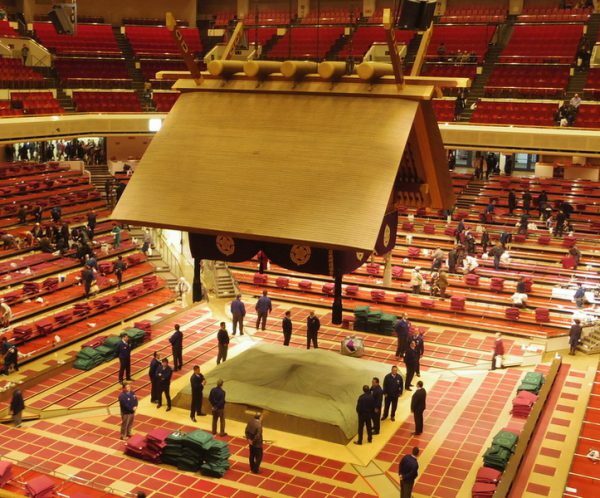 *Sumo Tour includes the grand tournament in Tokyo is available on our website! It is a very competitive race to get a sumo ticket recently. Tickets for the Grand Tournament on September, 2017 were sold out in 50 mins! 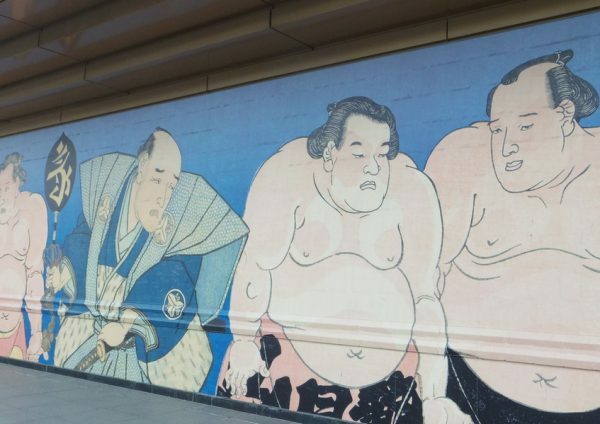 If you want to watch the sumo match during your travel in Japan, you must be very well-prepared or know the other ways to get the opportunity. 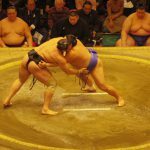 We would like to show variety chances of getting Sumo experience in this article. Sumo is a traditional Japanese wrestling. The appearance of the wrestler is outstanding. They wear only a belt and hairstyle like a samurai. The rules is quite simple. One being pushed out from the circle lose a match. No fixing match. The wrestlers seriously fight for being promoted to a next class. Easy to understand as a sports but the ritual before, under, after the match fully demonstrates its long cultivated traditions. Therefore, Sumo attracts Japanese as well as foreign audience. 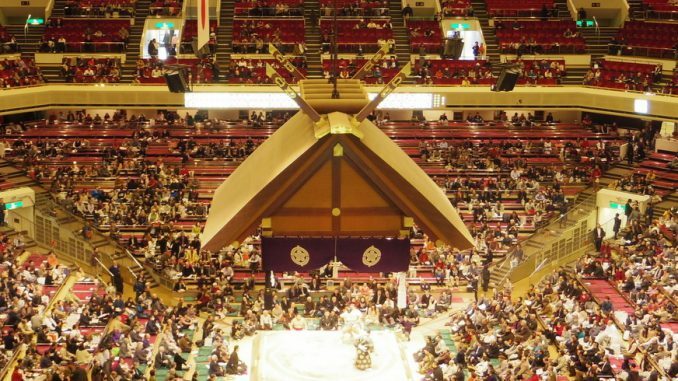 The sumo tickets usually release one month before on each tournament’s first day. (Although there are some tickets for a prior lottery, it is all about your luck and no guarantee.) Via Ticket Oosumo web site, anyone can apply for the tickets from anywhere having internet connection. But, it is always very competitive race. Also, we would say the domestic people take advantage than the foreign people because we have several different means to approach the ticketing. e.g. by phone, by domestic ticket sellers, vending machine at convenience stores. Getting the ticket by yourself is the best way to obtain regular price tickets. However, it is not an easy task for you. Some Japanese travel agencies like JTB have strong connection with Nihon Sumo Kyokai association. They may be able to offer the tickets for a part of their tour. 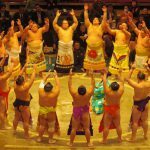 JWT will also hold original Sumo tour for the Ground Tournament. Either on internet or at real location, reselling tickets are available. Needless to say, the tickets are higher than the regular prices. For people who realize their sumo preference in last minutes, the one possible solution is the Same Day Ticket. 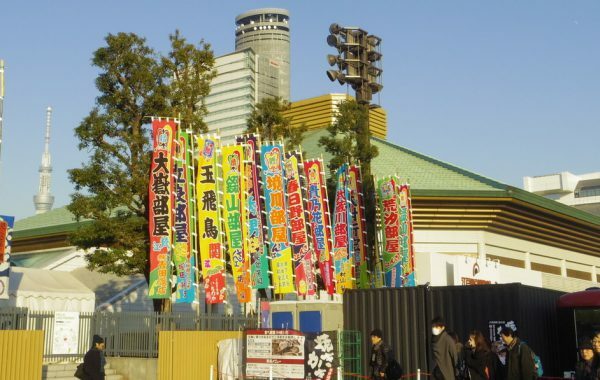 The ticket is sold at the box office in the Kokugikan Sumo Stadium on each date of the match from 8am. Only limited numbers of ticket is available and you have to stand in a line very early morning around 6am to get this ticket. All people in your group should make the line together because one ticket for each is obtainable. This is again very contesting and troublesome. Even though I got there till 7am in a weekend, I was too late to get one. You visit Japan during the tournament being not held? Nevertheless, you are able to see the practice match or more than just a wrestling. About the practice, the wrestlers usually have very tough practice every morning at their stable. You can watch their serious and energetic practice matches on the location. Some Sumo stables welcome ordinary people to come and see their practice. However, there are strict rules and manners to being the audience. Then, I suggest you take a tour with knowledgeable guide who speaks both English and Japanese. Moreover, you can also experience the food culture of Sumo. 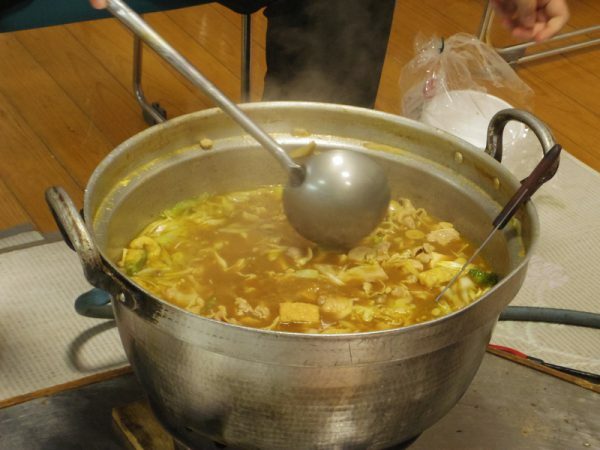 The most popular foods cooked and eaten by Sumo wrestler is Chanko Hot Pot. This food is variety kinds of ingredients are soaked in warm soup. 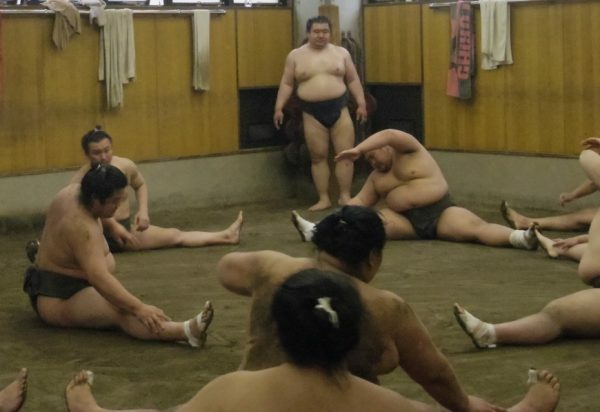 One of our tours (irregularly held) will take you to a sumo practice watching and a Chanko Hot Pot eating. Surrounding the Hot Pot with the wrestlers gives you the special moment of the experience. 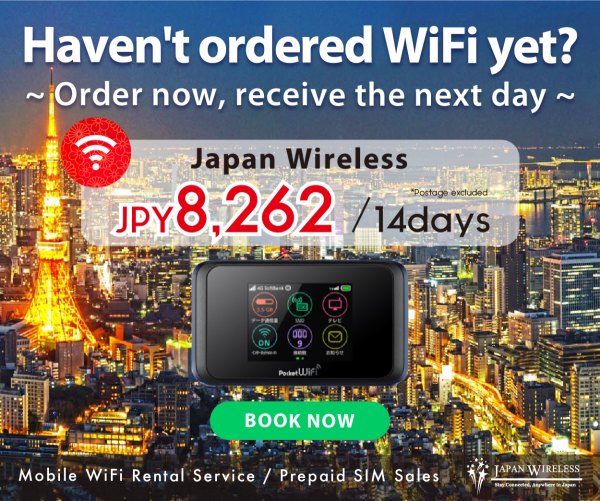 Japan Wonder Travel will help you to make your stay in Japan much better one.